The Toyota Camry has come a long way from being regarded as a boring car to a fan favorite in North America. Still, some critics persist with the narrative that it doesn’t have that extra oomph for a thrilling drive. All the same, the admirers far outweigh the naysayers. For them, precision in handling and high-performance driving are not the only way to conquer the roads. Over the years, Toyota has reinvented the Camry experience. At present, the vehicle is regarded as one of the most pristine driving vehicles in its class. It would be remiss though if we didn’t point out that there’s nobody who buys the Toyota Camry because of its sporty assertion. For the Camry, it’s all about reliability, spacious comfort and a dose of refinement. This video perfectly illustrates why the Toyota Camry is one of the most reliable 4-door sedans in the market. That said, to really unlock the true wonders on the Camry, you need some fine tires. With the right tires in tow, you’re guaranteed to not only a smooth drive but, a quiet and safe ride home. In a bid to help you choose the best tires for Toyota Camry, we’ve prepared a Top 5 list. Having been dealing with tires for a minute now, we’re confident you’ll be able to pick the right tires from this list. Ideally, you need to weigh the options based on your driving habits in order to get the most out of the tires. Before you get started with the selection, we’ll be sharing some pointers that will guide you along. This compilation takes into account the fact that every driver has different needs. We’ve also carefully evaluated the options based on the different weather patterns around the world. Given the abundance of tires in the market today, picking the best tires for Toyota Camry can be a tad bit tiring. As alluded earlier, the Camry doesn’t shine away from the cityscapes. This already means that you can cross out all-terrain and off-road tires from your shopping list. Instead, you need to focus more on tires that ooze different qualities like comfort, quietness, and durability. Judging them based on how well they handle both dry and wet pavements is also a good benchmark. You should only go for the tire which ticks all these right boxes. However, in some scenarios, you may find yourself in need of specialized types of tires. All-season tires usually offer the best value for all drivers of the Camry. This is because these tires are able to handle the vagaries of nature be it rain, snow, or dry weather. 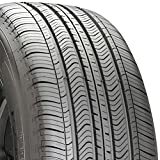 These tires are also quite durable with good handling, they can go for numerous seasons before changing. On the flip side, you can opt for all-weather tires which offer similar qualities to all-season tires. The only difference lies in that all-weather tires are better at handling snow and wet conditions. The only downside is that they are a bit more expensive compared to all-season tires. Those who love touring will appreciate the fact that both all-weather and all-season tires have some touring variants. Compared to conventional all-season tires, touring tires usually offer enhanced durability, plus comfier and quieter rides. Given these traits, we’re confident families will appreciate taking long drives on the highway in these tires. If you own a Camry, you’ll definitely love the allure that comes with all-season tires. The fact that these tires offer low-rolling resistance means that they are incredibly fuel-efficient. Once you also factor in that they also offer higher MPGs, it’s perfectly logical why all-season tires should be your best bet. Winter tires thrive in cold weather and snowy conditions much better than all-season and all-weather tires. The key reason behind this lies in their construction. The aggressive tread pattern pair up with their pliability in lower temperatures make them achieve better traction. On the other hand, all-season tires are made from rubber which usually constricts at lower temperatures. This means that they have almost zero traction when treading on snow. Therefore, if you happen to reside in a region with plenty of snow, always go with winter tires. They can be quite the lifesavers when you’re looking to navigate from one point to another. High-performance summer tires are just what the doctor prescribed in warmer climates. These tires shine in both wet and dry pavements. Summer tires tires give you’re the assurance of fast speeds around corners. As you breeze through meandering points, the experience will almost feel akin to driving on rails. High-performance summer tires are also the perfect candidates for wet driving. To some degree, we would prefer them over all-season and all-weather tires. However, these tires are no substitute for winter tires in snowy conditions. If your driving style is aggressive, you might just want to go with high-performance tires. These tires will give you more bang for your buck when cruising around the city. MaxTouch Construction maximizes the tire's contact with the road and evenly distributes the forces of acceleration, braking and cornering. To kick things off, we decided to start out the compilation with a tire that exudes comfort. The Michelin Primacy MXV4 shines brightly among Camry tires thanks to its wide range of qualities. Despite it not being a winter tire, the Primacy MXV4 is quite capable of handling snowy conditions. All this is made possible due to the Active Sipes which distinguish themselves apart in cold conditions. By doing so, they are able to provide enhanced traction in the snow. Impressively, the Active Sipes band close together when the vehicle is touring warmer climates. This action usually improves the tires grip and traction when navigating through dry pavements. These low-rolling-resistance tires offer the best fuel efficiency in the market. Since the Continental PureContact tires are eco-friendly, they can help you register impressively high MPG numbers. Not forgetting the fact that they are great all-season tires. Continental PureContact tires have powerful Tuned Performance Indicators. This feature will come in handy since you’ll be notified whether the vehicle is capable of driving in the snow and when it’s not a good idea. All you have to do is monitor the DWS (dry, wet and snowy weather) symbol on the tires. Should you notice that the “S” on the tires is worn away, you should avoid driving in the snow. This feature can be quite a lifesaver for you if you’re looking to traverse snowy environments. The Bridgestone Blizzak WS80 is incredibly efficient when traversing through snowy conditions. It appeals to many drivers because of its durability, especially during the colder months. All this is made possible thanks to its waterproof qualities. The tread pattern also massive help boost the tires’ grip on icy roads. Thereby avoiding unwanted drifting and potential accidents from occurring. The tire treads also have heavy sipes and deep grooves which are integral in ensuring the car has maximum traction and minimal friction. Offers excellent traction and short braking, even in the snow. The Hankook brand has considerably grown in the United States over the years. One of their revolutionary products is the Optimo H727. As a driver, we’re sure you’ll love driving in the car since it offers great comfort on the road. Its graceful driving will also appeal to family setups looking for quiet rides. These tires are perfect for long distance. You can easily traverse different landscapes from unforeseen bumps on ancient highways roads to freeways. The high-density sipes on the Hankook Optimo H727 make it perfect for winter operation. 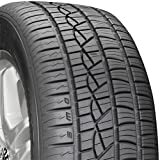 This all-weather tire is one of the best tires for Toyota Camry in the market when it comes to providing traction in dry, wet, and snowy conditions. So impressive is the Goodyear Assurance WeatherReady brand that the tires come with the prestigious Severe Snow Certification Symbol. Ideally, this means that the tires can be used even in situations of extreme weather like winter. This capability is made possible thanks to the ZigZag Biting Edges and 3D TredLock Technology Blades. As you seek the best tires for Toyota Camry, it’s important to always factor in a couple of things. Ensure that the tire fits: Avoid spending vast sums of money on tires that don’t fit. To get a good idea on the size of the tires, make sure you inspect the sidewall markings and ensure you stay within your budget estimates. Always aim to find specific tire brands: Don’t just choose the first tire you find. Instead, seek trusted manufacturers. By carefully picking out tires, you’ll be able to avoid experiencing sudden dips in performance. Given the freedom to choose a single tire from our compilation, we’d go with the Michelin Primacy MXV4 primarily because of the comfort levels. That said, you still need to carefully evaluate each tire based on your driving style and the weather of your locale. We’re certain our guide gave you enough insights to guide you along the buying journey. Happy driving!